The Royal Hotel is a traditional Public House Hotel dating back to the early 19th century being originally named "Kent House". It is situated close to all the local amenities in the center of Sheerness, Kent. It is the ONLY Hotel in sheerness town center. 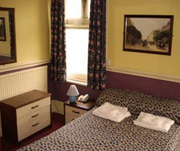 The Hotel offers a wide range of en-suite rooms, ranging from single occupancy to twin rooms and large doubles. All the rooms offer television, en-suite bathroom facilities and tea and coffee making facilities are standard in each room. The rooms are decorated to a modern and traditional standard and are homely, comfortable, offering the comforts of home. The Royal Hotel Prides itself on its fully stocked bar offering a range of Local Shepherd Neame Beers Ales, Lagers and Spirits. All the classics are on offer Including Spitfire Ale and Hurlimann lager. Multi Screen TV is also available for all to watch Including BIG screen TV.Pool and Darts are available each day and evening with local leagues competing should you only wish to watch.